Last Saturday Jake and I were really excited when one of the farms at the Farmers Market brought dried beans. The farm is called GRUB (Growing Resourcefully, Uniting Bellies) and it’s run by Lee, Francine, and Michael. We were able to visit GRUB farm and go on a farm tour a few weeks ago. It was great to learn about other farming methods and techniques. This year GRUB planted an experimental dried bean plot. They grew over a dozen varieties of beans to learn which ones worked best with their soil, thrasher, and of course which ones taste the best. The GRUB farm has a bunch of great systems in place from their field rotations and experimental crops to community engagement days. While visiting the farm we saw all of their stored (and yet to be thrashed) beans. Needless to say, Jake and I eagerly awaited the beans arrival at the market. Now, I’ll admit I have quite a fondness for beans. I probably was a garbanzo bean in another life considering how much hummus I eat. Last Saturday I thoroughly enjoyed talking to Francine for about a half hour about beans and all of the varieties they were selling. 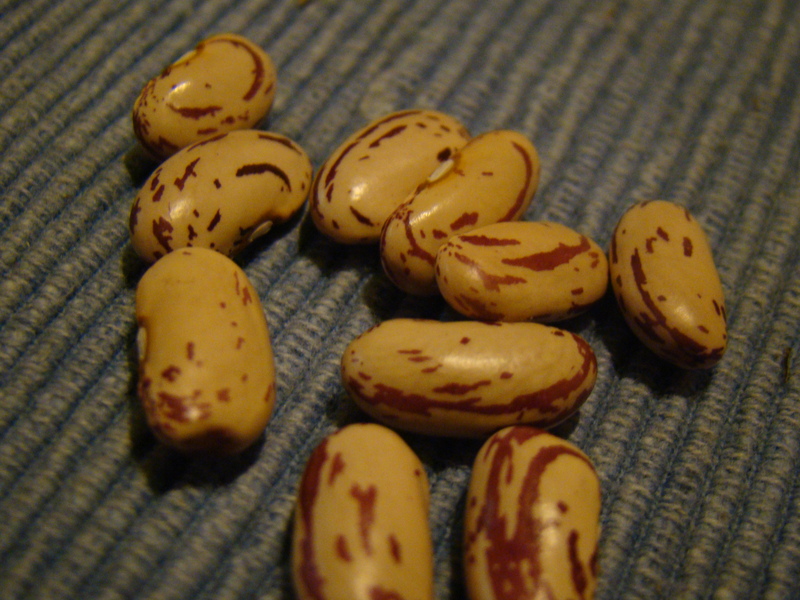 Boston’s Favorite, Hutterite bean, amongst heirloom varities of black, pinto, and white beans. How was I going to decide which one to buy? Then Francine picked up a bag that had not been displayed yet: Tongue of Fire. Sold. Jake and I brainstormed ideas on what to make for dinner using the beans. 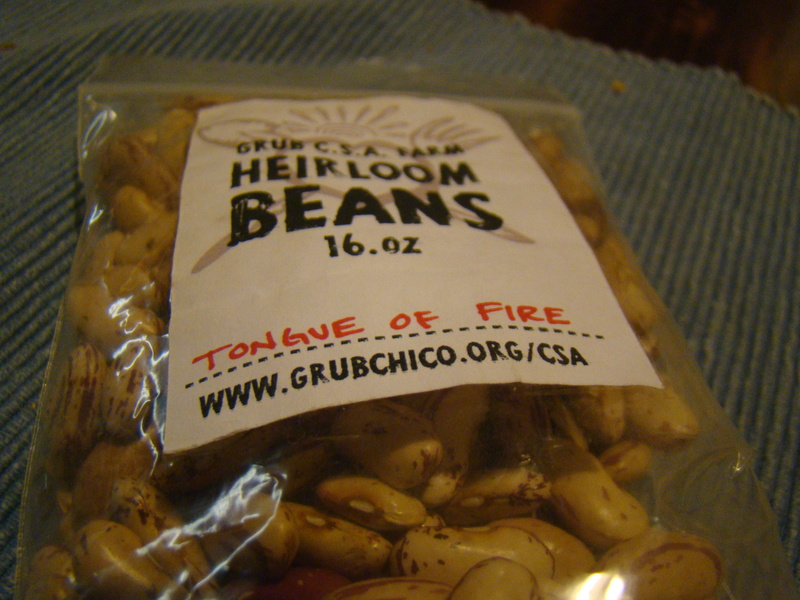 Francine said that she had not yet tried Tongue of Fire, but that she thought it was a good all around bean for holding it’s texture and such. 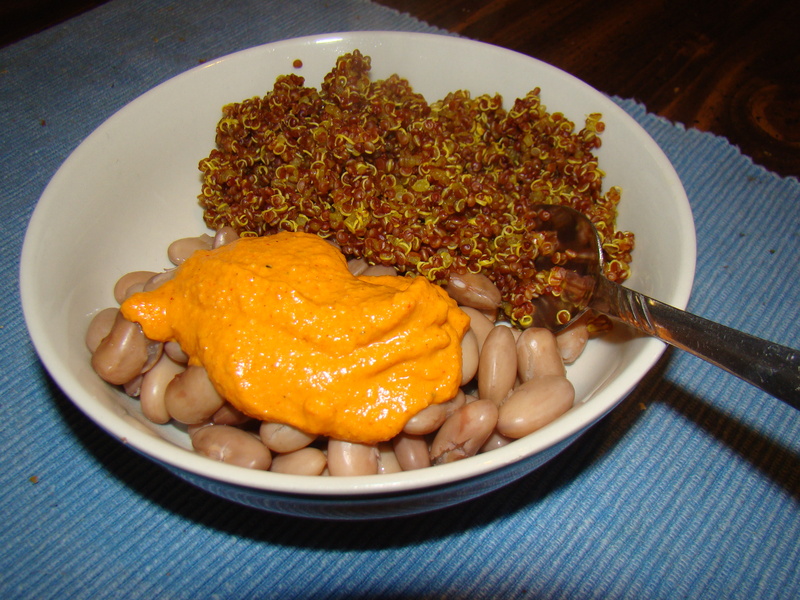 We knew we wanted to make some red quinoa, so we went pretty simple and decided to do a quinoa and bean bowl. Well, we thought we were just going to do that simple bowl and then I got an itch to use the saffron I had been carrying around in my purse. It’s pretty funny actually, most women have some make-up or tweezers along with their wallet. Nope not me, just a little small bag of saffron that I “packed” into my purse during the move from Iowa. It’s been sitting their ever since, ha! 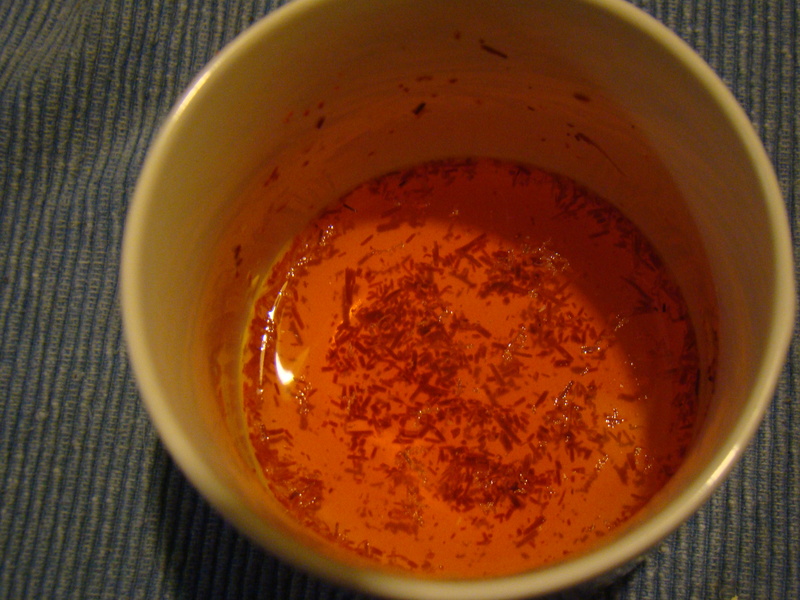 We soaked a pinch of saffron in a few tablespoons of warm water for 10 minutes and then added it to 1 3/4 cup water with 1 cup red quinoa. Once that’s all in the pot bring it to a boil and then down to a simmer for 25ish minutes. Don’t forget to rinse the quinoa three times with water before adding it to the pot because it’s coated with a bitter enzyme that can easily be washed away.